Donate today! 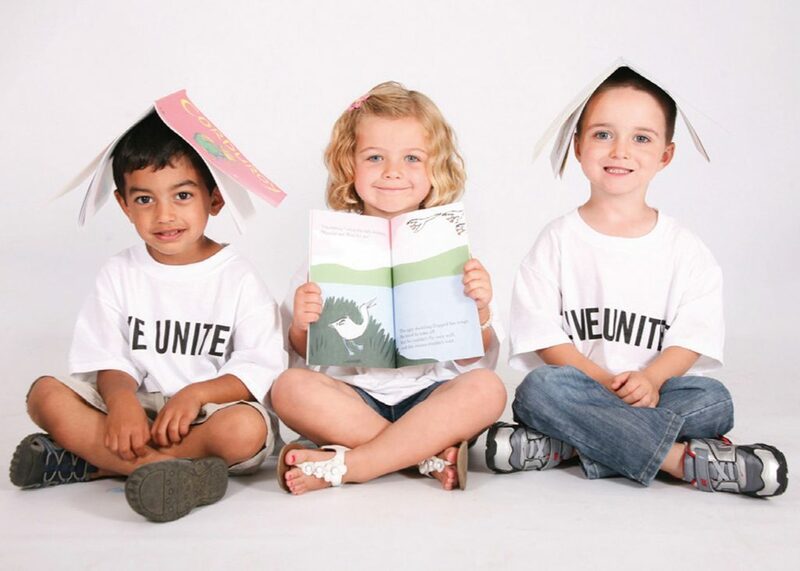 100% of your gift will go towards education and helping children to succeed right here in Washington County, Utah. Red Cliffs Mall is Southern Utahs only regional shopping center between Las Vegas and Northern Utah. 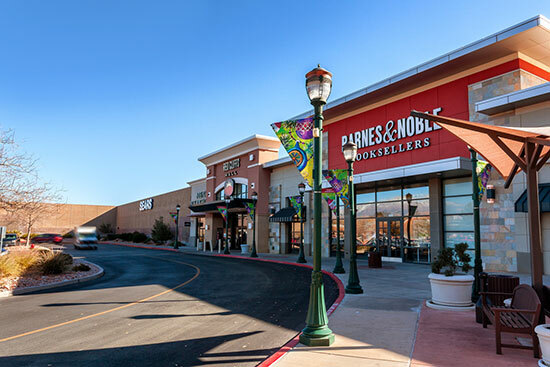 Just off Interstate 15 and within the borders of Red Cliffs Mall, awaits a collection of your favorite retailers, dining options, and entertainment with plenty of convenient parking. 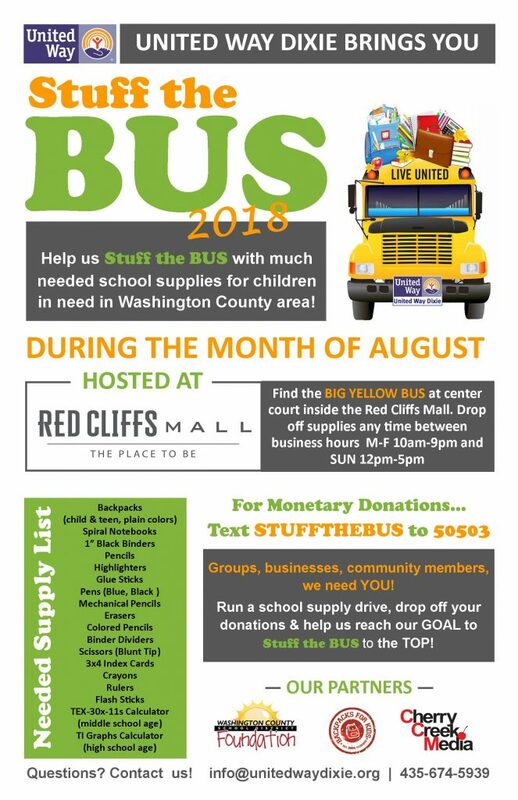 The Washington County School District Foundation is a proud Community Partner of the “Stuff the Bus” event. With this partnership, we are able to ensure that 100% of all school supplies gathered through this event go directly to the children in need within our School District. Foundation Highlight: PURPOSE AND GOALS- The purpose of the Foundation is to enhance the quality of education of the students of Washington County School District by providing the resources necessary through private funding that are not provided through the traditional sources. OUR MISSION IS raising and providing funds to enhance the educational opportunities for the students of Washington County School District. OUR VISION IS to help our students become socially aware, academically proficient, stronger leaders, and prepare them to be viable citizens in their communities. The Backpacks for Kids organization is a proud Community Partner of the “Stuff the Bus” event. With this partnership, the school supplies gathered through the “Stuff the Bus” event are then sorted, organized, stuffed into backpacks and delivered with the collaboration and help of numerous community volunteers. Founded in 2004, each year of operation, we have donated at least 600 backpacks and school supplies to needy students in Washington County. It costs about $25 to create each backpack through the generous discounts from local businesses and volunteer assemblies. The backpacks are distributed to school counselors who distribute discreetly according to need. In the past few years, we have seen an increase in need. There are over 800 students in the Washington County School District who are considered ‘homeless’, i.e. without a permanent address. In 2015, the re-opening of the Water Canyon School in Hilldale, Utah also increased the number of backpacks requested. By partnering with the United Way and doing a ‘Stuff the Bus’ campaign to increase participation from the community at large, we were able to fill more than 1000 backpacks and provide enough supplies to the Washington County School district to refill student supplies through the year as needed.